The Table Bay Rovers had the chance to assist at this year’s annual Beaver Competition, run at the 1st Table View hall for all the Cub Packs in our district. 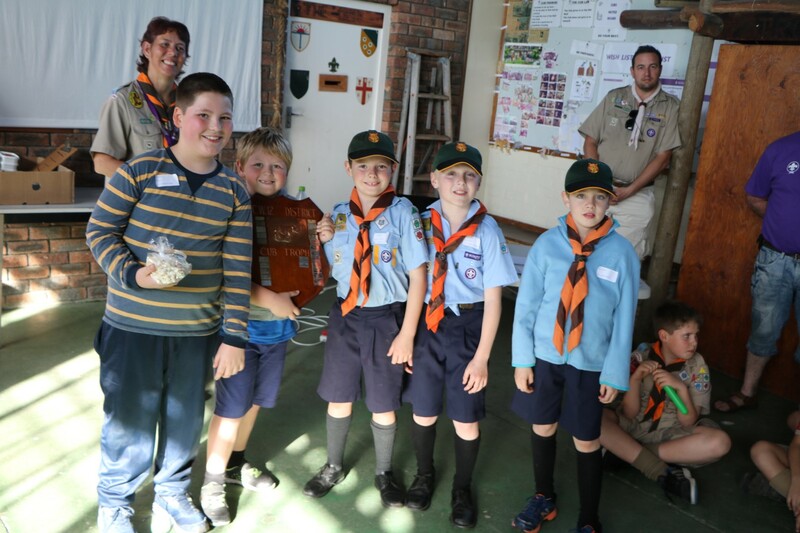 Beaver competition is based around the Cub advancement programme – with Cubs doing activities that are related to their age groups. Some of the fun examples included following nature trails, tying complex knots and knowing basic first aid. The Beaver Competition is named in honour of Ed ‘Beaver’ Rose, an inspirational figure from SA Scouting history (and a former Rover) who as significant in the history and development of all aspects of the Cub program in the Cape Town area. Read more about Ed here. Well done to 1st Edgemead Cub Pack for winning the day. The full competition results can be viewed here.